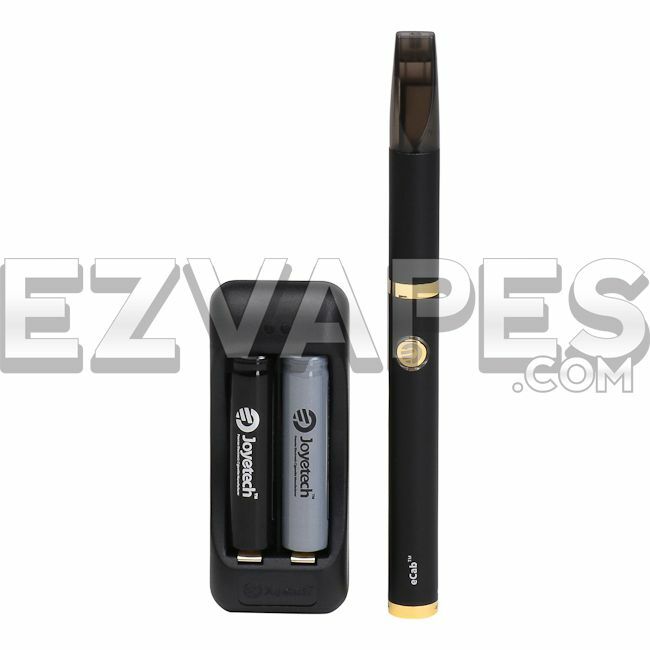 The Joyetech eCab Starter Kit is in stock and is now on clearance BELOW OUR COST. 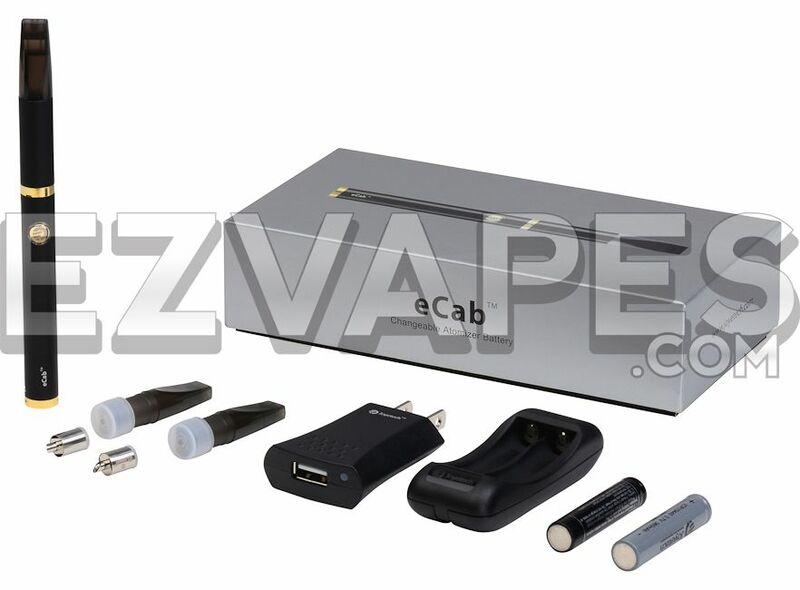 Get a complete eCab pen set-up at a truly below-wholesale price! Joyetech is the company that laid the path for today's standard vape pen concept and design and is still considered one of the best brands money can buy. 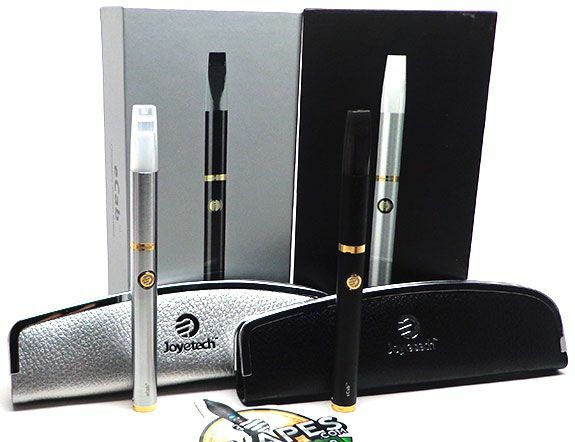 Many of the duplicated and generic electronic vaporizer companies have modeled their products from authentic Joyetech pen vaporizers for years. Unlike many other companies, Joyetech designs their systems from the ground up with only the highest quality materials and performs quality control over their products. This attention to detail combined with their constant innovation makes for a user friendly personal vaporizer that is second to none. 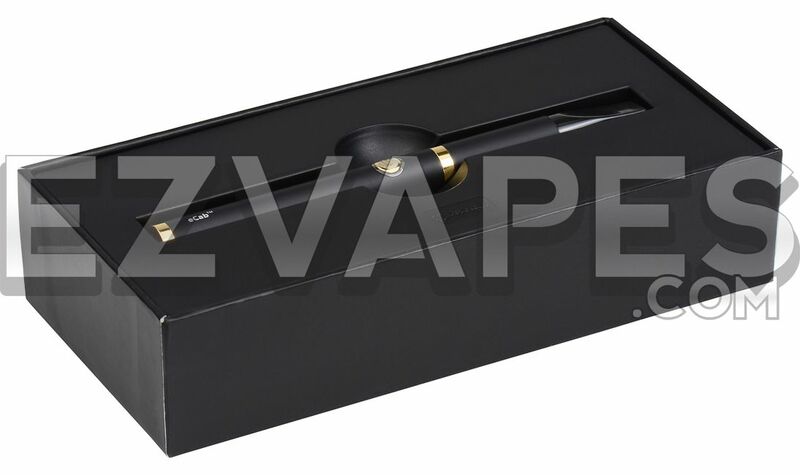 If the eGo series or traditional pen vaporizers are a little too bulky or don't have enough style for your liking then the eCab is probably what you are looking for. 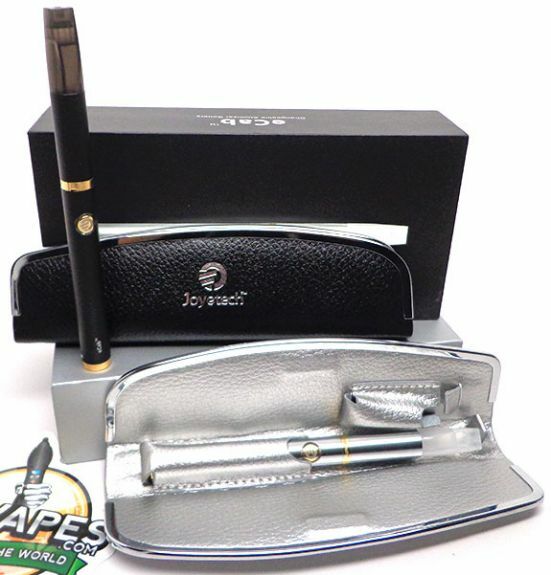 Joyetech's eCab series is thinner and more sleek for a streamline appearance. Gold trim and accents add to the classy design along with the official Joyetech logo etched into the button and battery cap. The eCab isn't only about looks though, going along with Joyetech's theme of constantly upgrading their products, there is a new change to this system as well. 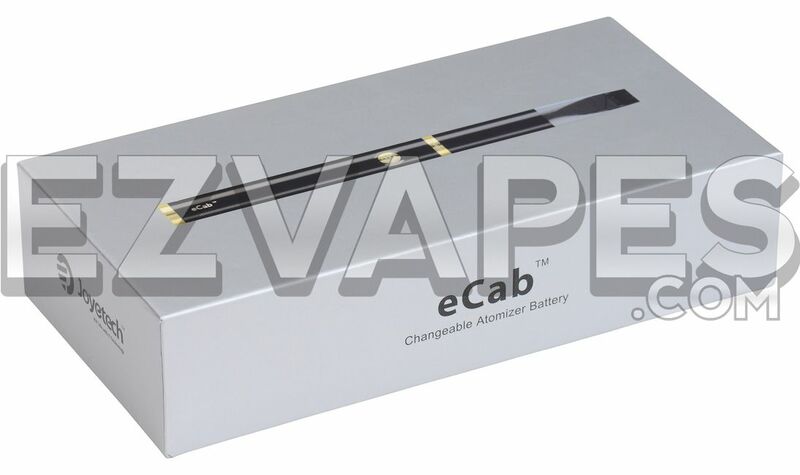 The eCab continues to make pen vaporizers more practical with their Changeable Atomizer and Battery design. Normally when an atomizer burns out you will find yourself replacing the entire cartridge (which can become quite expensive.) The eCab atomizer, however, belongs to a unique system consisting of the cartridge tank (where the liquid is held), the atomizer body and the atomizer head (the heating element). 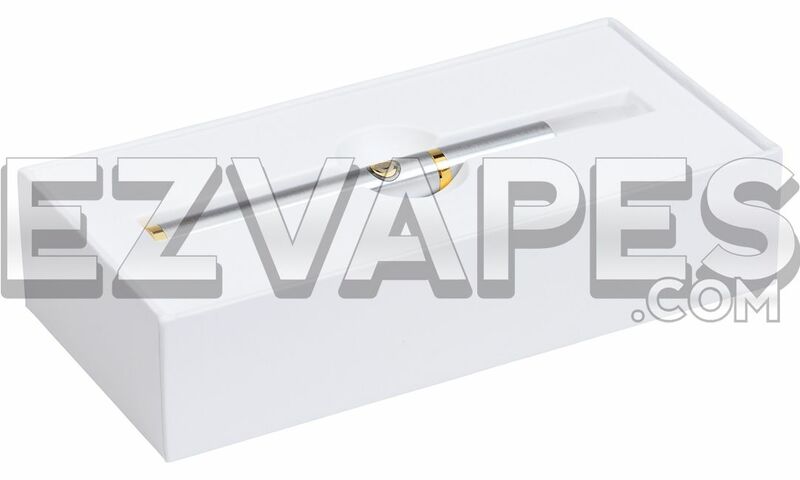 The atomizer body and the battery body separate to allow easy access to the atomizer head which can be changed out for quick and easy replacement. Replacing 1 small part makes for a more practical and affordable solution compared to replacing an entire cartridge like with other pen vaporizers. Taking their changeable system 1 step further, not only can you change the atomizer head for a more affordable solution but you can now quickly and easily change out the battery for a continuous vape experience. This means when your battery dies you don't have to stop and wait for it to charge, instead you can simply swap out a dead battery for one that is already charged and continue with your session. These batteries are held in what is called the battery housing and can simply be changed by removing the cap at the bottom of the pen. eCab batteries typically last for 150 puffs and completely recharge in 2 hours. Keep a few charged batteries on hand and swap them out when they die and you won't find yourself with a dead pen again. Notes: Current set up is intended for e-liquids only. 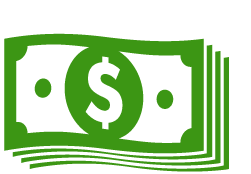 Clearance items are not eligible for refund.